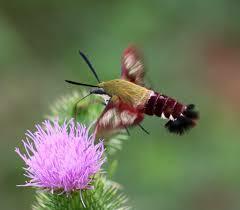 If you have ever seen a Bee Moth then you are lucky indeed. My first sighting seems like a long time ago and now, four years later, I have had a second sighting. My initial viewing left me slightly astonished and mystified. Was I observing a new species and what exactly was it that I was seeing? Was it a giant bee or a giant moth or a small hummingbird hovering over my Korean Lilac? It was a chimera, a figment of my imagination and how could I research it if I could not identify it? 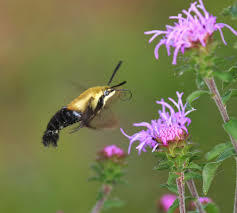 Observing it in my garden it darted from flower to flower looking somewhat like a large plump bee with its black and yellow stripes but it whirred moth-like wings and sipped the nectar like a hummingbird, never landing on the flower itself. I decided to consult the Web by simply typing in ‘Bee Moth’ and miraculously a new fantastical species was revealed to me. Looking at the many varied photos of it conjured up words to my mind like capricious, charlatan, imposter, chicanery and fantasy creature. It was simply amazing and belonged to no category of creature that I knew. After only two sightings in four years, and not for the lack of looking, I conclude that it must be an elusive creature. According to various websites however, it is not uncommon. 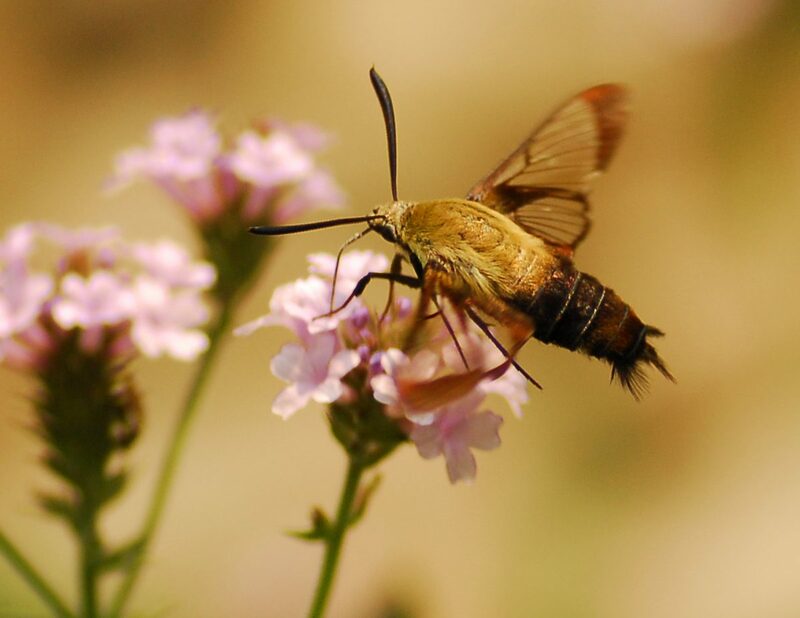 Bee moths are called Clearwing Moths or Hummingbird Moths in the U.S. and Bee Hawk-Moths in Britain. The nomenclature is the Order of Lepidoptera (Butterflies and Moths), the Family Sphinx Hawkmoth and the Genus Hemaris. 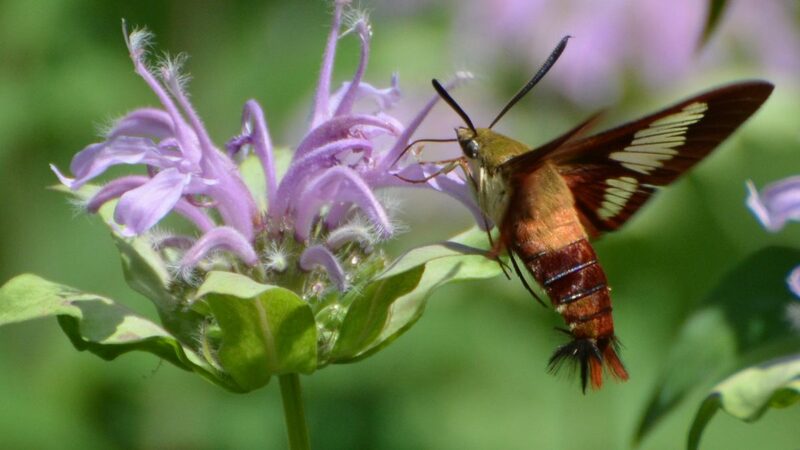 Hemaris is ecologically important as a pollinator and we can help this process by growing native plants in our gardens such as Bee Balm, Bergamot, Lilac, Verbena and Phlox. In the life cycle of this day-flying moth, eggs are laid on the underside of leaves of Honeysuckle, Dogbane or Hawthorn or Cherry. When well-grown the caterpillar (green with a dorsal horn) drops to the ground, spins a cocoon to pupate and spends the winter protected by the leaf litter. 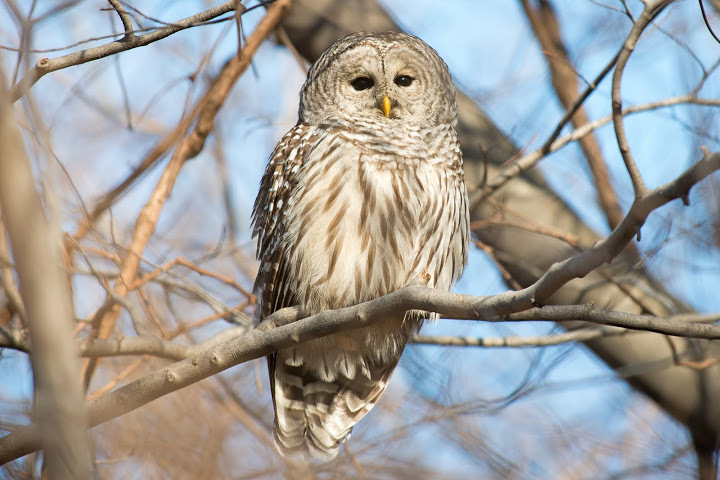 It emerges in the spring and can be seen flying around fields, forest edges, meadows and gardens from Newfoundland to B.C. I am hoping to see one again this summer perhaps by vigilantly watching the Phlox when it blooms as that is one of their favorite plants. This time I’ll have my camera close at hand and try for the third time if the opportunity comes to snap a picture of the impressive Bee Moth. 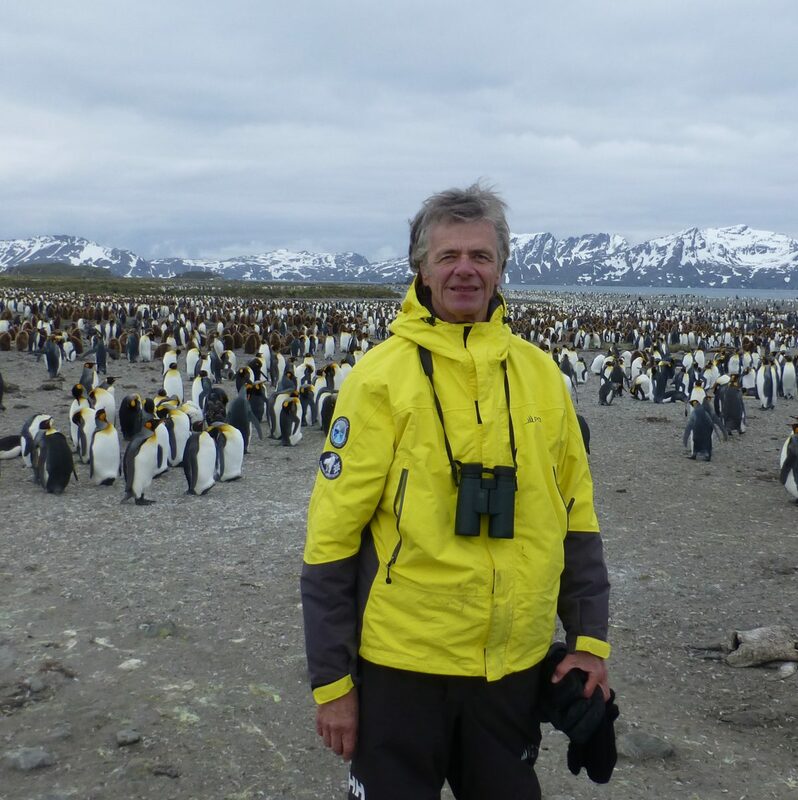 This entry was posted in Friends of Miles on October 16, 2016 by milesghearn.